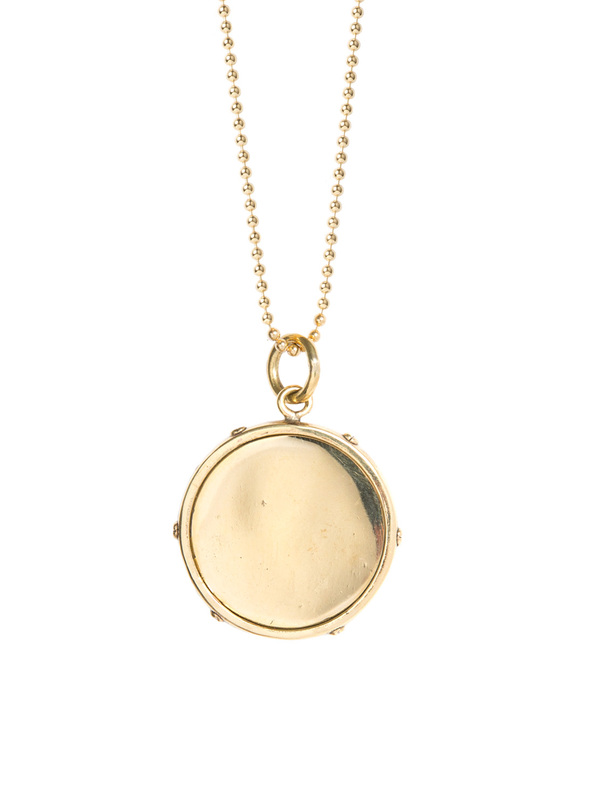 Keep it plain, simple and elegant with this lovely gold disc measuring 2.5cm in diameter. It hangs on an 80cm sterling silver chain which has been plated in 23.5 karat gold in Italy. It really works as a stand alone piece or layered with other shorter more delicate necklaces.